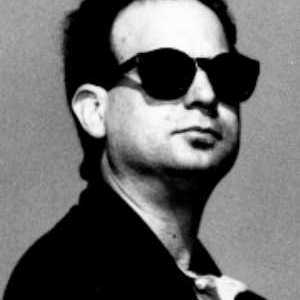 Carl Joseph Stone, February 10, 1953) is an American composer, primarily working in the field of live electronic music. His works have been performed in the United States, Canada, Europe, Asia, Australia, South America, and the Near East. Stone studied composition at the California Institute of the Arts with Morton Subotnick and James Tenney and has composed electro-acoustic music almost exclusively since 1972. In addition to his composition and performance schedule, he is a faculty member in the Media Department at Chukyo University in Japan. Stone studied composition at the California Institute of the Arts with Morton Subotnick and James Tenney and has composed electro-acoustic music almost exclusively since 1972. In addition to his composition and performance schedule, he is a faculty member in the Media Department at Chukyo University in Japan. Stone utilizes a laptop computer as his primary instrument and his works often feature very slowly developing manipulations of samples of acoustic music, speech, or other sounds. Because of this, as well as his preference for tonal melodic and harmonic materials similar to those used in popular musics, Stone's work has been associated with the movement known as minimalism. He has collaborated frequently with Asian performers, particularly the pipa player Min Xiao-Fen. For many years, Stone has divided his time between San Francisco and Japan.